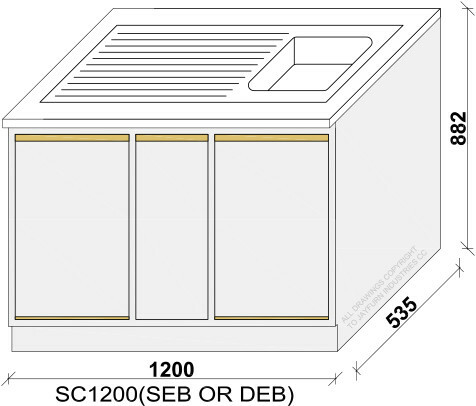 Sink units available in either left or right hand bowl, width of the sink top can vary depending on your requirements. 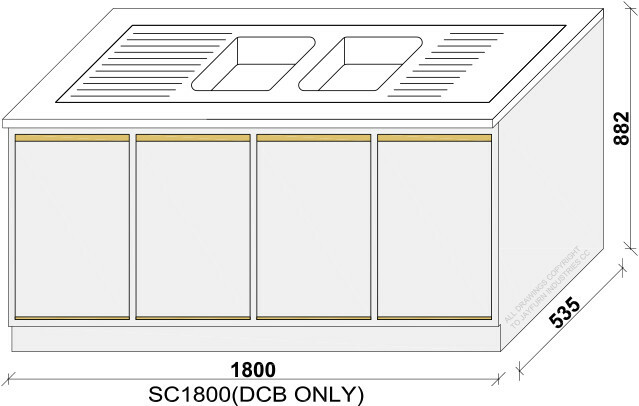 PLEASE NOTE: Also available in sliding doors. 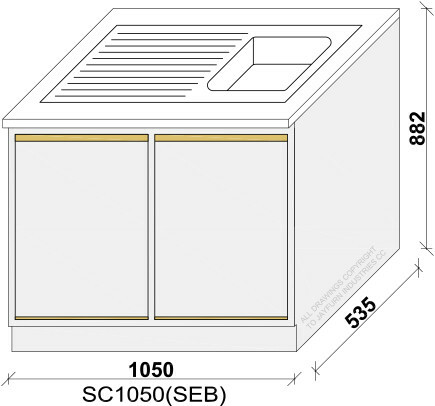 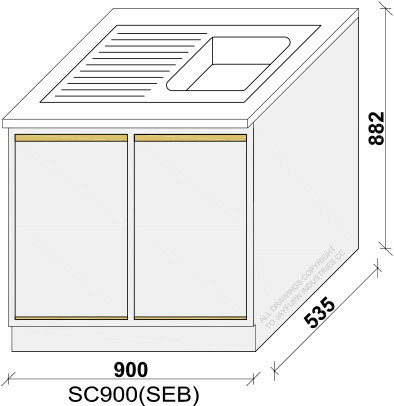 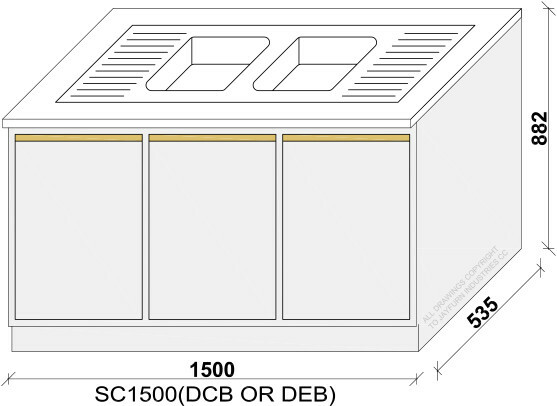 535mm dimensions represents width of unit including sink tops.